Close your eyes and try to imagine your favorite spot on campus. Most campers are probably visualizing the Starlight waterfront. Someone who is not so familiar with camp may ask, “What’s so special about the waterfront?” Well, with so many fun, different activities to cool you off, how could you not imagine such a magical spot on campus? 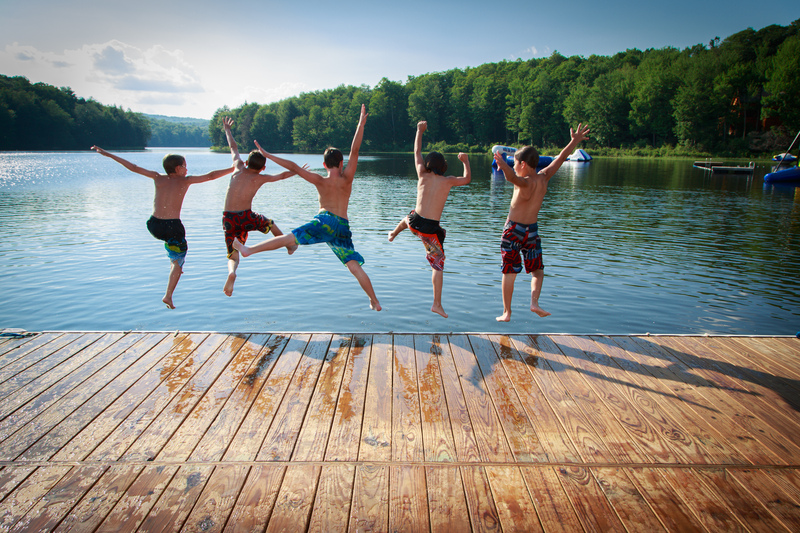 The lake at camp isn’t just a place to play in the sand, water toys such as trampolines, rock-its, and swings are extremely popular during “Free-swim” periods. 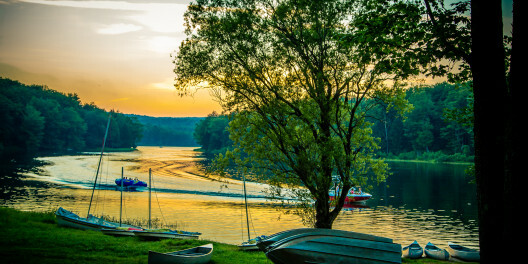 Waterskiing and wakeboarding are other waterfront favorites. There is something about being on the boat with your bunkmates and cheering each other on that makes everyone smile. Kayaking and Canoeing aren’t just about paddling around, they’re about going on adventures to places on the lake you can’t reach by just swimming. The waterfront doesn’t shut down after activity periods are over; plenty of evening activities take place here too, with events like themed pool parties and synchronized swimming. As soon as counselors mention tubing as an evening activity, almost every child goes crazy with excitement. Many memories are made on the waterfront at camp. Traditional campfires take place next to the waterfront, which makes for a peaceful and beautiful time with campers. Friday Night Services, weather permitting, sometimes take place overlooking the lake. This is a time for the entire camp to come together, appreciate and reflect on the week in the midst of the background of the beautiful sunset on the lake. The Starlight waterfront is a place where you can be sure to see children having a great time, laughing and enjoying their time with friends. Whether it’s an all-camp swim, or a divisional activity, there is always fun to be had, and memories to be made! Want To Work at Starlight? Learn About The Staff Experience!